Thanks James! (315/365) – Annoyingly Boring? James was kind enough to send me a loaner camera while I save up (not my strong suit) for my own DSLR. What a guy! I am so jealous of that camera. So I guess this means you didn’t get one while Circuit City had them marked down so much for their store closing sale either. Holy Cow, that is sweet! And just think–he kept the one that’s nicer! Looking forward to what you come up with now! We’re a canon family too, but I’m sure they are all really much the same when it comes right down to it. Ok, I am jealous! I have the SLR but not the digital… I would love to have it though…alas someday! Hey…how can I get on your blog roll? I can’t wait to see what you do, PG! I saw your FB update that you took about 600 pictures..I cannot wait to see your work!! WOOO HOO! James is a cool cat ! Is it a d70 ? What lense do you have on it ? Oh sweet! 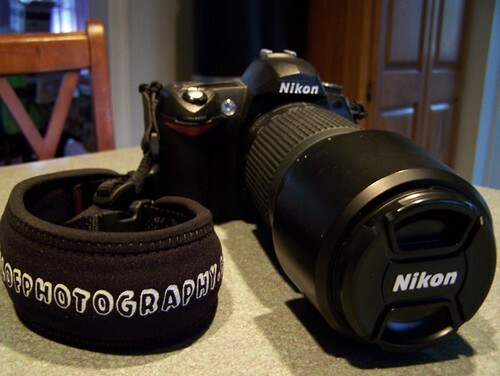 My D70 is now my “extra” camera – have fun with it!